For many years, Ana Maria Spagna has stayed put, mostly, in a small mountain valley at the head of a glacier-carved lake. You're so lucky to live there, people say. She is lucky. But she is also restless. 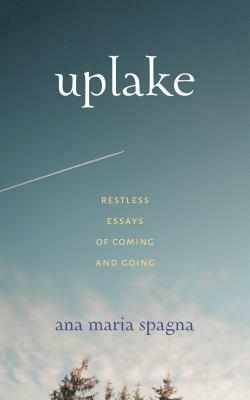 In Uplake she takes road trips, flies to distant cities, fantasizes about other people's lives, and then returns home again to muse on rootedness, yearning, commitment, ambition, wonder, and love. These engaging, reflective essays celebrate the richness of it all: winter floods and summer fires, the roar of a chainsaw and a fiddle in the wilderness, long hikes and open-water swims, an injured bear, a lost wedding ring, and a tree in the middle of a river. Uplake reminds us to love what we have while encouraging us to still imagine what we want.